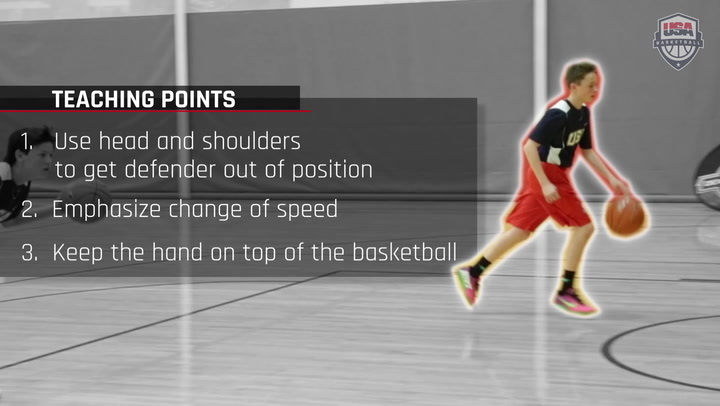 How do you incorporate 3x3 play into your practices, and what are the benefits? I coached the first-ever 3x3 team for USA Basketball in 2010. We traveled to Singapore to participate in the inaugural Youth Olympic Games. It was a great experience for the team and myself. The game and its rules have changed over the past few years, but the concept remains the same. I have always enjoyed playing and watching 3x3 basketball. I have incorporated 3x3 into my practices and mostly into our offseason training. We have developed different drills with 3x3 – again, it is what you want to teach that makes each drill important to your team. We have used the 3x3 in the full court and half court. We have developed drills for rebounding, defense, and offense while using 3x3. The reason 3x3 is so valuable is because it breaks the game down into smaller segments. It allows players to play with the ball more often and teaches them to work to get open without the ball. Players get more opportunities to affect the game in 3x3. Even more valuable for me as a coach is on the defensive end. Players have more opportunity to guard the ball while also learning to play help-side defense. To me, it simply provides more opportunities for players to make basketball decisions that impact the game. We incorporated 3x3 in our open gyms during the fall prior to our regular season. We would play 3x3 with two teams on one court and two 3x3 teams on the other court. We would only play half court with a 12-second shot clock. The games would last 10 minutes or until the first team to score 21 points. Then the winning teams would play each other and the losing teams would play each other. These games became very competitive! As a coaching staff, we would try not to coach them and let them read and react. You can't hide playing 3x3 games. Unfortunately, I found it difficult to add 3x3 during our regular season practices. But once our spring open gyms begin, our girls will be playing 3x3 again! We play as much 3x3 as possible in the offseason. We also use it in our camps for younger kids in the summer. 3x3 is one of the best ways to teach and learn how to play the game. You cannot hide on offense or defense in 3x3. With 10 players on the floor, you can go multiple possessions without being involved. That's not feasible in 3x3. In evaluating players and teaching the game, 3x3 is a great tool. 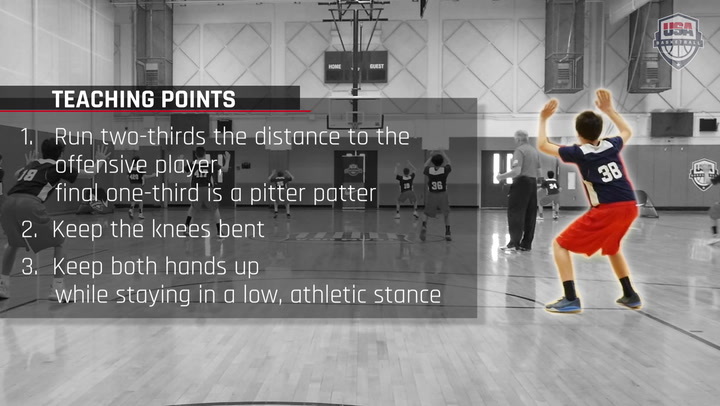 3x3 in practice helps players understand the value of spacing and screening on offense. One-on-one play usually won't work in a 3x3 setting, so relying on your teammates to free you up with an on- or off-ball screen is essential. On defense, being able to help-and-recover and learning how to fight through screens and rotating to the next important person also comes into play. When you are in a shell-type setting such as 3x3, it is harder to take breaks on defense because if you do, it is a little more glaring and obvious. 3x3 breakdown drills are a great way to expand your players’ skill sets while teaching the fundamentals of the game. 3x3 shell drills have benefits on both sides of the ball. On defense, 3x3 challenges each defender to expand their court coverage, and reinforces the concept of helping the helper. On offense, 3x3 maximizes player touches while reinforcing player movement without the ball. We have had great success in drilling our on-ball defensive schemes in a 3x3 setting. We alternate by possession, two different on-ball defensive schemes a day, which forces both the offense and defense to make different reads. In practice, we may alternate a high-hard vertical hedge and switching the on-ball screen. This will provide the offense with opportunities to slip, pick-and-pop, or take advantage of a mismatch on the switch. The next day in practice, our 3x3 on-ball shell may alternate trapping and going under the on-ball screen. This provides the offense with the opportunity to drag-and-draw, step-through, or stop-and-pop. We also teach our off-ball screen reading in a 3x3 setting. We teach to “meet and greet” when setting screens. In practice, we alternate days with screens away and back/flare screens. On days in which we are drilling screens away, we are teaching back cuts, curl cuts, and fade cuts. Whereas on the flare screen days, we are emphasizing fade cuts, curl cuts, and slips by the screener. It is also advised to incorporate two ball shooting out of a 3x3 setting to rep reading the defense for both the cutter and the screener. This teaches the players to work in unison with one “in” and one “out.” For example, if the cutter curls, the screener should shape up calling for the ball on the perimeter. 3x3 play is a great way to teach and reinforce floor balance, spacing and timing. 3x3 teaches the game of basketball better than 5x5. It is a big part of what we do, especially in the offseason. Instead of running 5x5 pick-up games, we will run 3x3 wood-to-wood games (the wood to wood is a smaller court – about the size of a half court). When we do this, I will declare a “rule” the game has to be played with (ex., a ball screen must happen before a shot it taken). This forces game reps with whatever our focus is on. Our short court 3x3 is so important to us because: 1) everyone is involved in the play (either in the pick and roll or getting spacing and help defense); and 2) the short court means there is more basketball and less meaningless running. I love it because we have all had an open gym that looks like a bad pick-up game at the park – this setup forces really good basketball reps. We always play short timed games or to a low point total, which forces a higher intensity and avoids coasting. In season, I will use 3x3 to breakdown a part of a play we are not running well -- when we are not executing the finer details of a play, the details that really make that play work. It is a natural progression to then go 5x5 after your breakdown work. I also use it to breakdown how we want to defend the other team’s best offensive action. The kids get multiple reps very quickly on the action that is tough to defend (again, making it easier for them to defend the play when going 5x5). I had moved away from using 3x3 a few years ago and rediscovered it a year after. I will not move away from it again. For more information on how you can get involved in 3x3 with USA Basketball and beyond, click here. And follow USA Basketball 3x3 on Twitter at @usab3x3 and #USAB3x3. The 1 Percent Club is that small group of players who go the extra mile in their training -- stay late after practice, do more than is required. That's what it takes to make it to the next level. 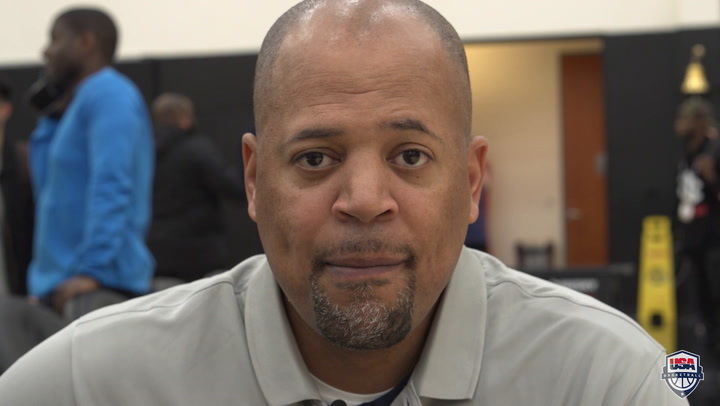 Hear from USA Nike Hoop Summit head coach Mike Jones as he prepares the USA to take on the World Select Team on April 13. USA Nike Hoop Summit Team head coach Scott Fitch served as assistant coach at the U17 World Cup and U16 World Championships. Many top NBA players are Nike Hoop Summit alumni, which is set for April 12 in 2019. 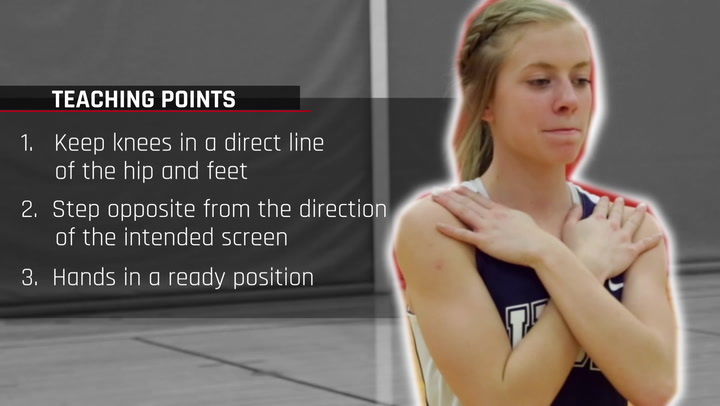 USA Basketball Coaches Network about the best ways to teach players to apply defensive pressure. Coaches Network: Approaching The Postseason? The USA Basketball Coaches Network discuss what, if anything, should coaches do differently in the postseason?